Indonesia is a country of islands… more than 17,000 islands that encompass a world of cultures, pristine islands, unique and rare wildlife, and adventure activities from exploring cave systems to spectacular diving. With 238 million people in 33 provinces, this is the world’s fourth most populous country. It is also home to the world’s third largest island, Borneo, which itself still conjures up images of explorers and wild places, headhunters and pirates. 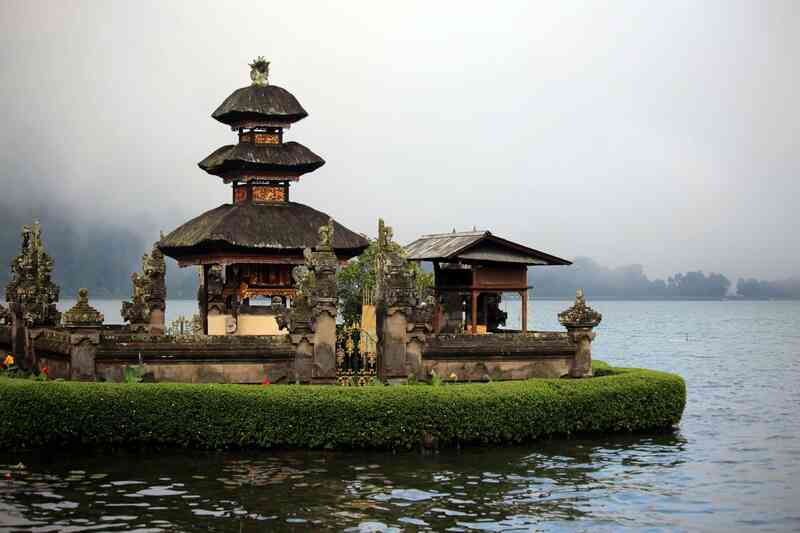 The Indonesian archipelago has been an important trade region since the seventh century. Many nations have influenced these islands as traders, adventurers and others arrived from China, India and Europe, bringing with them Hinduism, Buddhism, Islam and Christianity. Dutch colonialism held sway for more than 350 years before Indonesia gained its independence after World War II. While Indonesia has hundreds of distinct ethnic and linguistic groups throughout its many islands, it has established a collective identity that comes from having a national language that still allows for ethnic diversity, and religious pluralism that functions within a majority Muslim population. Bali and Lombok are two of the country’s most famous islands, with lively culture, tranquil mountains, traditional villages and stunning beaches. Indonesia has vast areas of wilderness that support the world’s second highest level of biodiversity. Its flora and fauna are a mix of Asian and Australasian species. The islands of the Sunda Shelf (Sumatra, Java, Borneo and Bali) were once part of the Asian mainland, and have a wealth of Asian fauna. Large species such as the tiger, rhinoceros, elephant and leopard were once abundant as far east as Bali. The islands’ most celebrated species is the highly endangered orangutan, currently found only in the rainforests of Borneo and Sumatra. Indonesia still beckons the adventurous soul to dive in its crystal clear waters, to discover life in the jungle treetops, and to savor whitewater rafting and cave exploring. Just to let you know, we had a wonderful time on our trip. We were phenomenally lucky with the weather, and saw everything we hoped to see. We really loved the hotel on Seraya at the end of the trip – the place is really paradise! Cheers, and thanks! Discover this extraordinary nation of islands, mist-shrouded mountains, amazing wildlife and vibrant cultures. Bali and Lombok are two of the country’s most famous islands, with lively culture, tranquil mountains, traditional villages and stunning beaches but Indonesia also has vast areas of wilderness that support the world’s second highest level of biodiversity.